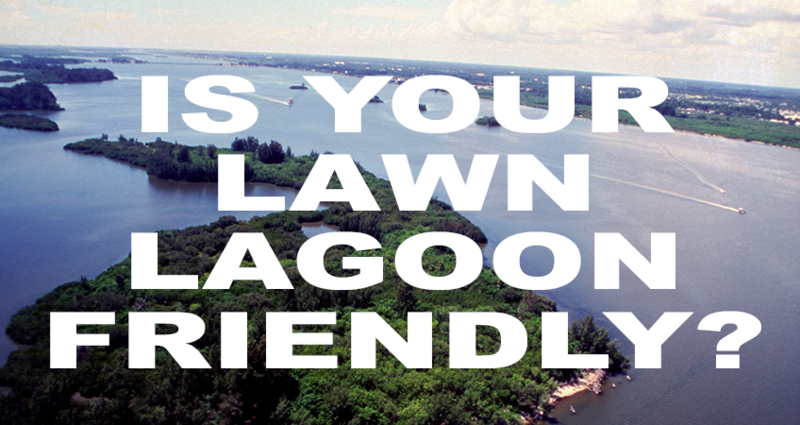 Wondering if you lawn is Lagoon Friendly for the Indian River Lagoon? Ask us at Green Earth Pest Control on ways to make sure that you are! Learn to grow an environmentally responsible, low maintenance, yet beautifully landscaped lawn by following the Nine Principles of Florida-friendly Landscaping. The Principles are designed to reduce the demand on Florida’s aquifer by minimizing the need for irrigation and to decrease the amount of fertilizers, pesticides, and other pollutants used on lawns which enter our lakes, ponds, and the Indian River Lagoon. 1) Right Plant, Right Place: Plants selected to suit a specific site will require minimal amounts of water, fertilizers and pesticides. 2) Water Efficiently: Irrigate only when your lawn needs water. Efficient watering is the key to a healthy yard and conservation of limited resources. 3) Fertilize Appropriately: Less is often best. Over-use of fertilizers can be hazardous to your yard and the environment. 4) Mulch: Maintain two to three inches of mulch to help retain soil moisture, prevent erosion and suppress weeds. 5) Attract Wildlife: Plants in your yard that provide food, water and shelter can conserve Florida’s diverse wildlife. 6) Manage Yard Pests Responsibly: Unwise use of pesticides can harm people, pets, beneficial organisms and the environment. 7) Recycle: Grass clippings, leaves and yard trimmings composted and recycled on site provide nutrients to the soil and reduce waste disposal. 8) Reduce Stormwater Runoff: Water running off your yard can carry pollutants, such as fertilizer, pesticides, soil and debris that can harm water quality. Reduction of this runoff will help prevent pollution. Take advantage of the learning opportunities provided by UF/IFAS Extension Brevard County: The My Brevard Yard program offers workshops and personalized site visits which teach you how to create and maintain a beautiful lawn while minimizing pollutants that enter our waterways. Looking for healthier, organic alternatives to fertilize your lawn? Our organic fertilizer is a safer alternative. Experts recommend phosphorus-free, slow releasing fertilizers. Green Earth Pest Control offers the MOST TESTED organic fertilizer on the market. Our products are safe and effective to use, USDA Bio-based Certified (low carbon footprint) and listed for use in the production of Certified Organic Farming by the Organic Material Review Institute (OMRI). We choose to use the highest quality organics on the market known for their LOW ENVIRONMENTAL IMPACT, PROFESSIONAL GRADE ORGANIC INGREDIENTS and LOW CARBON FOOTPRINT. What are the differences in our organic fertilizer? Our organic products have been commissioned in over 500 independent research studies over the past 25 years to create the best possible products for the horticulture, agriculture, greenhouse, nursery, landscaping, and lawn and garden industries. All of our products are of the highest quality and demonstrate unmatched performance in growing hardy, healthy and abundant lawns and plants. These products are manufactured in the USA and are also approved for organic fruit and vegetable growing. No fertilizing during the rainy weather or during the warning period of a significant storm. No fertilizing within a 10-foot buffer zone abutting a canal or river. Keep grass clippings (and other organic and road debris) out of stormwater drains and water bodies; blow clippings back into the yard from streets and sidewalks. Call Green Earth Pest Control today at 321-749-6220 to switch over to organic fertilizers and pest control you can trust.